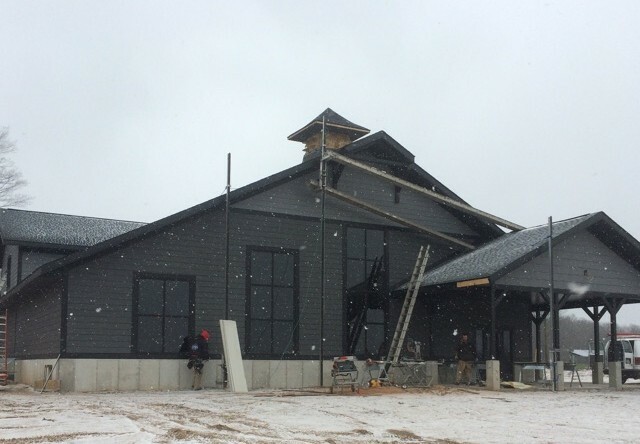 Our 4,900 sq ft. distillery building has been designed for the production, processing and barrel-storing of spirits and will feature a full service tasting room bar and heated outdoor porch area. And as the construction nears completion, we’re dreaming of warmer days and evenings when we can share a cocktail outside, while enjoying the view of our fields and other Betsie watershed vistas. A special thanks for the outstanding work of Pumford Construction and their sub contractors – this is going to be one special place and we can’t wait to share it with all of you. And as the finishing touches are being put into place inside our distillery building and tasting room, we think ahead to future Iron Fish Distillery Estate Releases. These Estate Releases will feature only grain from our farm. We anticipate growing 25 acres of winter wheat for harvest annually, generating an estimated 75,000 lbs of wheat grain, 4,200 proof gallons of spirit and 25,000 bottles (750ml) of our Estate Release Series. Stay tuned!